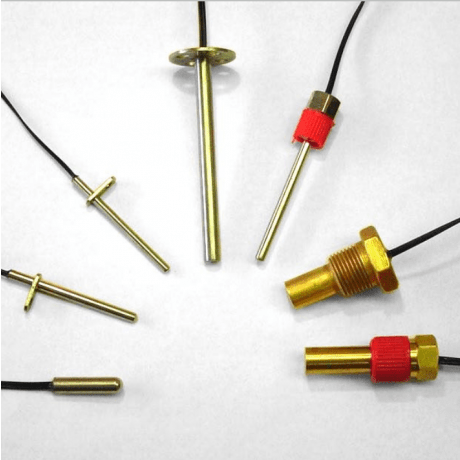 Cantherm thermistor probes and thermowells use the highest quality NTC or PTC thermistors available and are encased in housings made of either brass, aluminum or stainless steel suitable for a wide range of applications such as HVAC or process control. 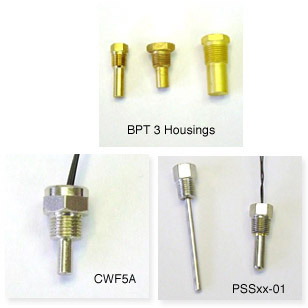 They can be installed almost anywhere from an air plenum to a pressure vessel having a NPT threaded sleeve. 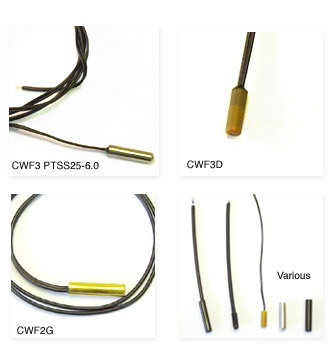 We can install your thermistor of choice into a standard or custom made protection tube or probe and equip it with a variety of styles of wire and connectors. 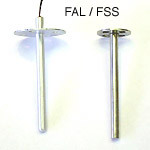 Contact Cantherm’s technical sales staff to design a probe that fits your needs. 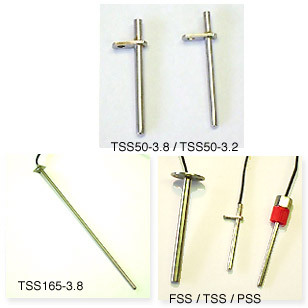 FOR COMPLETE DETAILS OF THE AVAILABLE RANGE OF NTC AND PTC THERMISTORS THAT CAN BE INCORPORATED INTO ANY OF THE ABOVE BODIES PLEASE SEE THE > THERMISTOR SECTION ON OUR WEBSITE.